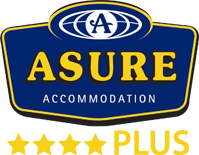 ASURE Barclay Motel's Two Bedroom Family Unit is ideal for a family holiday, or a small group of holiday makers travelling together. Contains a table and 6 chairs, comfortable lounge furniture, and spacious kitchen that includes a full size fridge, full oven, and handy microwave oven. 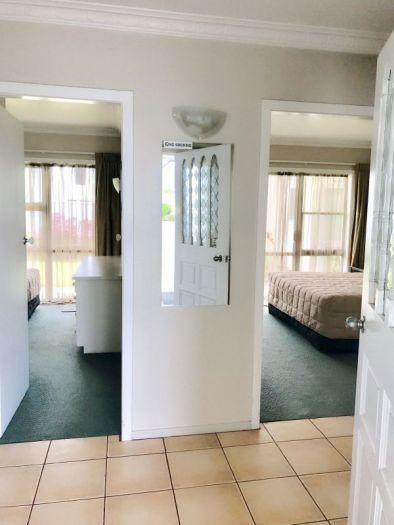 Two bedrooms offer a King sized bed in one room, and two single beds in the other, plus the option of an additional bed in the lounge. The Two Bedroom Family Suite gives guests room to spread out and relax. The Two Bedroom Family Suite's large bathroom with shower has all the standard amenities you need, including hairdryer, complimentary shampoo, conditioner, and soap. It also features a luxurious bath, perfect for relaxing at the end of a big day out in Hamilton. There is ample parking space directly outside your room, and all units are secure and private.